The Localike Trip Planner will suggest places and things to do you've probably never heard of, for a more local-style experience. The Localike Trip Planner will create a personalised itinerary based on your interests, budgets and length of stay in New York City. The Localike personal planner will give you a local-style itinerary for your entire trip. 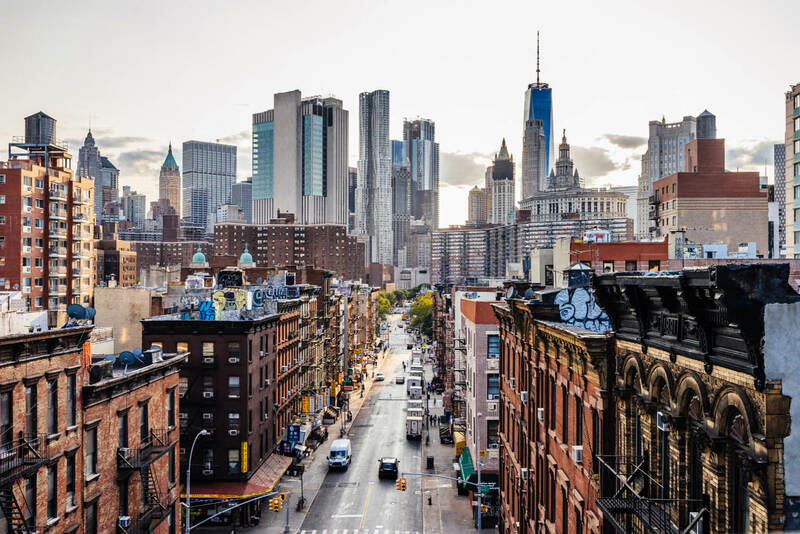 If your heart beats strong for New York City the way it does for the perfect espresso in the early hours of the morning, no doubt you’ve fantasised about what you’d get up to over a couple of days in the Big Apple. Five bustling boroughs and a never-ending line-up of pop-up restaurants, art exhibitions and special events means that New York City is one of the more complex cities to navigate – especially for a newcomer. What you want is almost a local guide in your pocket that can recommend truly incredible places you won’t find on any tourist maps – and if you could also reserve an appointment, book a table or buy tickets at the same time? Well that’s even better. I’ve visited New York a handful times and after about the fourth trip I realised that I had what I believed was a good handle on the city – my favourite spots and what makes it ‘tick’. However, it’s not until you’re presented with an itinerary full of never-before-seen options that are both cool – and entirely ‘up your alley’ that you realise you haven’t even scratched the surface. That’s what happened to me when I received my Localike Trip Planner. Now it’s important to note in a generation of people who ‘want it now’ that there is a time investment involved in receiving a fully personalised itinerary – around 20 minutes. There’s no ‘mind-reading’ involved, so you do have to answer a number of questions, ultimately divulging your interests to the platform, so that it can devise a thorough list of recommendations for you, based on the length of your stay. For my itinerary, I registered an interest in my favourite food types, which can drill down as deep as ‘noodle shops’, ‘food trucks’, ‘kosher’ and ‘halal’, before expressing an interest in shopping, and even using the dollar sign metric to indicate my budget; you can go from ‘$ (inexpensive)’, to ‘$$$$ (exclusive)’. It also has prompts surrounding nightlife, interests and activities – and it’s here that you can seek options for things like ‘attend TV show taping’, ‘cabaret/comedy’ and ‘architecture’. Please note that you can fill out as much or as little as you like – but the more time you spend ticking appropriate boxes, the more thorough your personalised guide will be. When I’d finished my questionnaire – which I will say only took me 15 minutes – I was sent a list of incredible recommendations in the form of a Trip Planner that both catered to my interests and were within my budget. 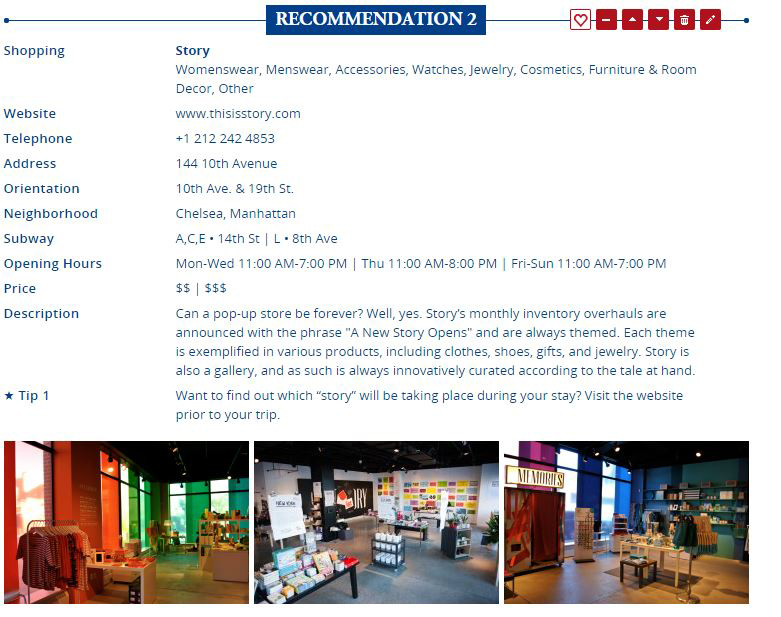 Each recommendation came with the full range of contact information, closest subway stop, price range, description and a list of insider tips for visiting, where applicable. At Buvette, a quaint French restaurant in West Village, for example, the listed tips suggest ordering the house special chocolate mousse, which comes complete with homemade whipped cream. Localike also informs you about the restaurant’s romantic seating on its tiny terrace. If you book ahead you can request undoubtedly the best seat in the house. The Localike Trip Planner will suggest places and things to do you’ve probably never heard of, for a more local-style experience. In my vast list of recommendations – which also come complete with images, thankfully! – there was also the option to either make a ticket request, book a table or schedule an appointment right from within the trip planner. This eliminates the need to venture out to the establishment’s website or get on the phone in an attempt to piece together your trip. It’s pretty darn simple, really. 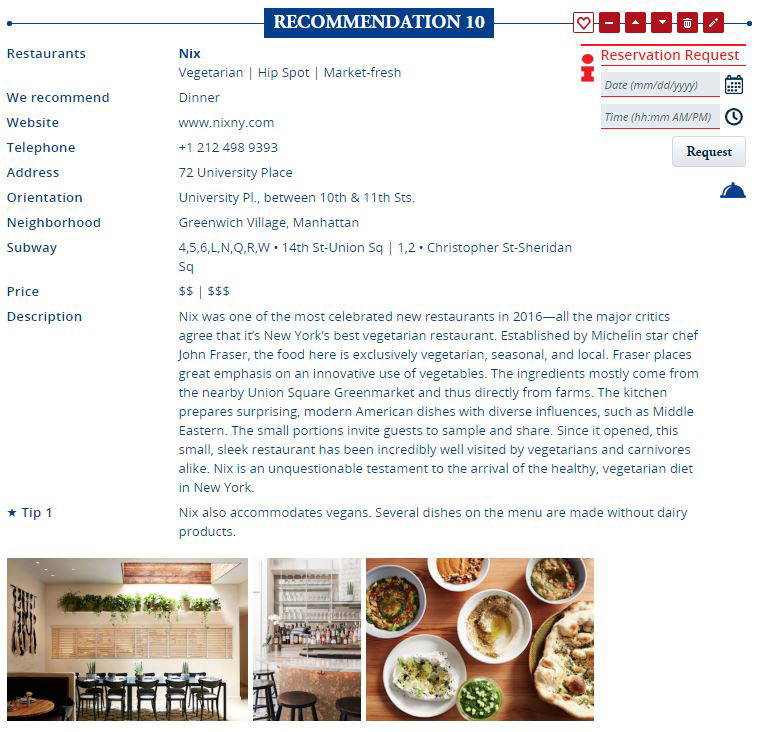 Better still, the recommendations and offerings are constantly being updating in the database, to ensure that nothing is out of date – and that the very latest openings are included in the potential list of recommendations. It’s not just for New York City! Nope! Localike also provide trip planners for Rome, too. Making it easy to navigate your way through one of Italy’s most interesting cities. You can get your own Localike Trip Planner for $110 for one day, $180 for two days and $55 for each additional day – though you’ll probably find two to three days will give you enough ideas for a week-long trip!